So recently I’ve started clicker training with my new friend Bertie. 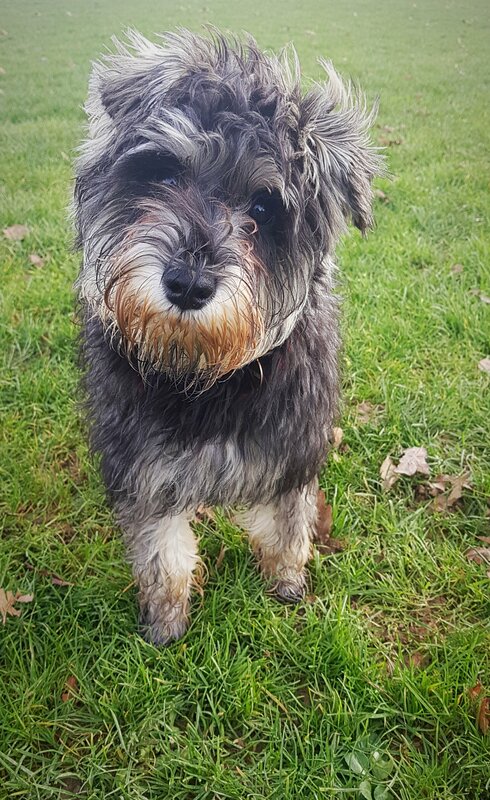 As you can see from the photo above, Bertie is a (young) Miniature Schnauzer. He is such a lovely little pup – so friendly and so smart! But, as with all pups, quite mischievous too! Bertie is quite fond of the clicker as he has quickly learned to associate the noise with the reward. 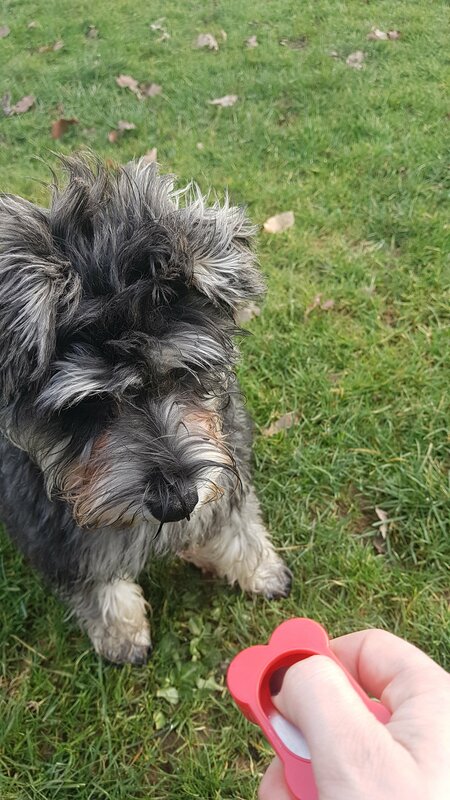 They key in any kind of training is to find what motivates your dog to use as the reward – with Bertie it is most definitely treats! But with your dog it may be a particular toy or ball, or even just a big fuss! Bertie responds well to the puppy treats i have been usuing. He is lovely to train as he responds really well to the clicker. He learned “down” in about 10 minutes one afternoon. As he’s young we (his owners and I) are going to do the basic training, as well as a few fun tricks! I know Bertie will pick it up quickly. The other week I was dog-sitting so used the opportunity to do a little recall training with Bertie on my own. It’ll be an eye opener to see how well he does this for other people; for a first go he was very good for me, and spent a good amount of time off lead as a result. Before we left the park he made friends with a Husky cross – even if she was a little unsure of the small dog at first!